After two Silver medals won in Sydney and Chanwgon, the Chinese shooter finally pocketed a Gold in Munich, beating the two-time Olympic Champ Maria Grozdeva of Bulgaria. 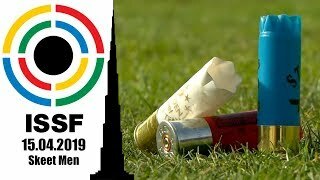 China’s Yuan Jing won today’s 25m Pistol Women Final at the 2011 ISSF World Cup in Munich, securing the brightest medal after the fourth final series. 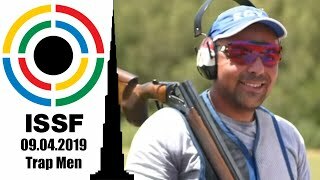 Entering the final with in fifth place with a qualification score of 582 points, the 24-year old Chinese shooter climbed up the scoreboard by marking 205.8 points in the final. Ending up with a final score of 787.8 points, Yuan, ranked fourth in the world after winning two Silver medals in Changwon and Sydney this year, finally climbed upon the highest step of the podium, pocketing the Gold medal. Climbing in the lead, the Chinese finalist disappointed the two-time Olympic Champion, Maria Grozdeva, who had led the qualifications. 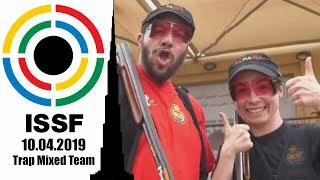 Qualified for the final with 584 points, tied in first place to Maruskova and Csonka, the Bulgarian athlete led the match right to the third final series. Then, she was overtaken by Jing by a few tenths, and finished in second place with a total score of 787.3 points, winning the Silver medal and an Olympic Quota Place. The 2004 Olympic Silver medallist Lenka Maruskova of Czech Republic, 26, secured the Bronze medal, finishing in third place with a score of 786.0 points. 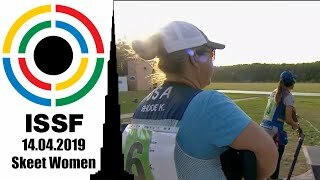 Qualified with 584 points, she marked 202.0 points in the final, winning the Bronze. She was followed by the second Chinese finalist, Zhang Jingjing, 22, who made it to the match in fourth place, with 583 points, and there she ended up her final with 785.5 points. 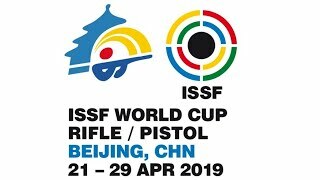 The young Chinese shooter had only competed once in an ISSF world cup final match, last year in Beijing. The second Olympic Quota assigned today was taken by Hungary’s Zsofia Csonka, 27, who had qualified in third with 582 points, sliding then down in fifth place with 782.1 points.